Many preschool classrooms have children sign in each day by writing their first name. For some students this is achievable but for many it encourages poor handwriting habits. During the early preschool years, children are not developmentally ready to form letters. This FREE preschool sign-in sheet is developmentally appropriate for the early preschool years to help children practice writing lines. When signing into the class or during morning work, students can practice writing horizontal lines with this freebie instead of focusing on letter formation. This helps students solidify early writing skills before having to write letters. 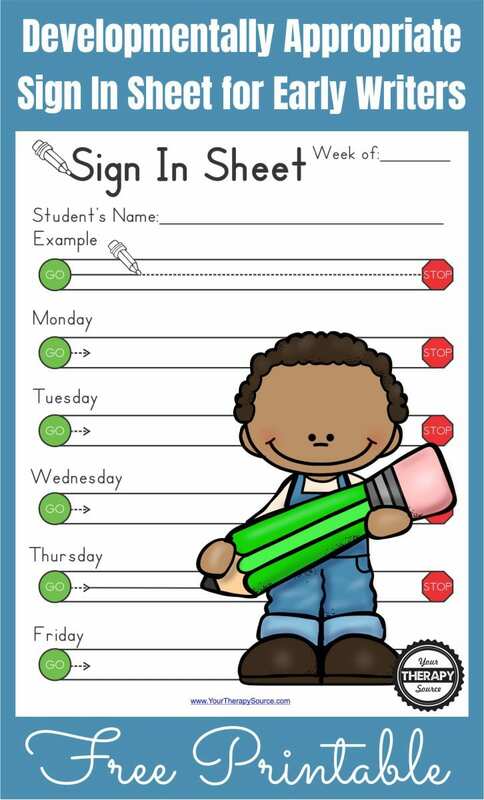 Print the sign in sheet (download below) and an adult writes the child’s name on the paper and the week. Each day of the week, the student signs in by completing the visual motor section on the worksheet. For example, on Monday, a student who is working on horizontal lines would sign in by starting at the GO dot on Monday and ending at the STOP sign. The next day the student would repeat the sign in under the Tuesday section. 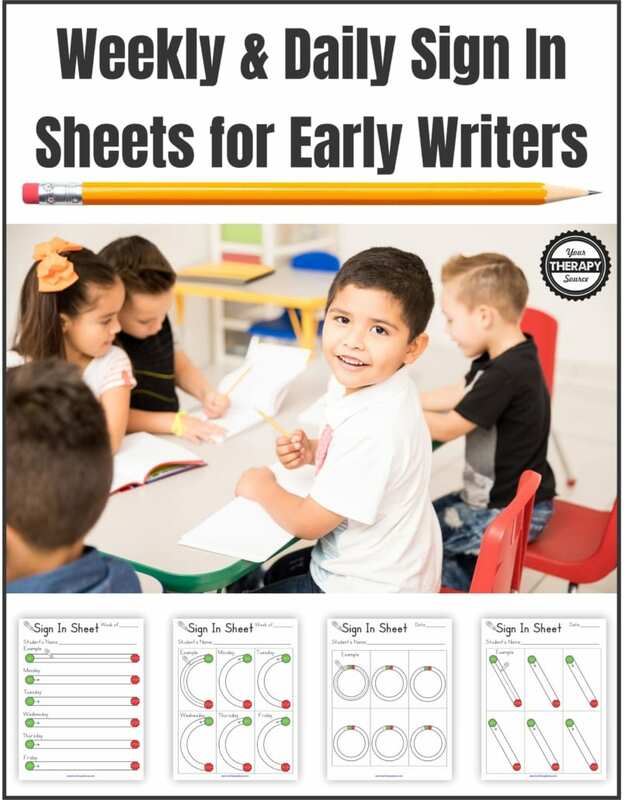 This freebie is from the complete Weekly and Daily Sign In Sheets for Early Writers. The Weekly and Daily Sign In Sheets for Early Writers is included in the prewriting bundle. 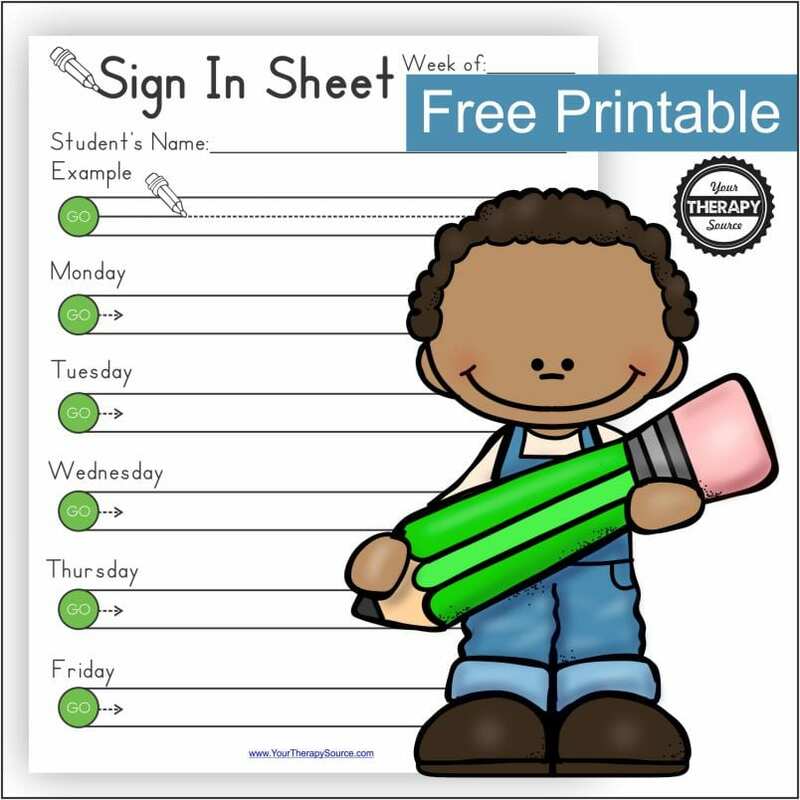 Download a FREE Weekly sign in sample sheet.